Helpful hints: Mousse Hand Soap can also be used for stain remover. Mousse Hand Soap is particularly suitable for cleaning glasses, rinse first the hot water lenses add a little mousse of hand soap on your fingers and use your fingers to clean the eyeglass lens, then rinse with warm water. DKS Cream Soap Hawthorn is a toilet soap that is mild and gentle to your hands. 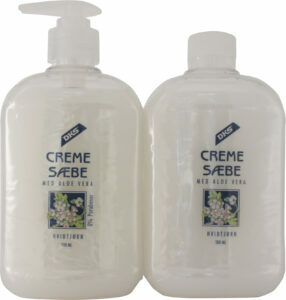 Cream Soap contains Aloe Vera and glycerine which are caring and nourishing for your hands. DKS Cream Soap Lavender is a toilet soap that is mild and gentle to your hands. DKS Cream Soap Exotic is a toilet soap that is mild and gentle to your hands. Hand Soap Aloe Vera is a mild hand soap added Glycerin and Aloe Vera. Hand Soap Natural is a mild hand soap added Glycerin. Hand Soap Lavender is a mild hand soap added Glycerin. Hand Soap Lily with Glycerin which prevents drying and protects the hands, mild and gentle hand care. 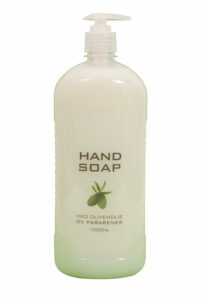 Hand Soap Lavender with Glycerin which prevents drying and protects the hands, mild and gentle hand care. Hand Soap Rose with Glycerin which prevents drying and protects the hands, mild and gentle hand care. 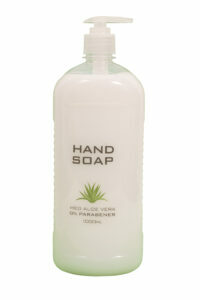 DKS Hand Soap Aloe Vera is a mild and gentle handsoap added Aloe Vera. DKS Hand Soap Olive Oil is a mild and gentle handsoap added Olive oil.